ATB Morley exhibited at the prestigious All Energy exhibition at the SECC in Glasgow last week, promoting electric generators for renewable power. Morley’s capacity to bespoke engineer machines to the requirements of its customers’ extends perfectly to the renewables sector and the company has enjoyed recent success, particularly in tidal power generation. Tidal power exploits the natural ebb and flow of tidal waters, caused principally by the interaction of the gravitational fields of the earth, moon and sun. It has the potential to make a material contribution to the UK’s energy mix in the next decade, with vast quantities of predictable, reliable and consistent tidal energy surrounding our vast coastlines. Yet in 2014, the UK generated just 5.2% of its power from renewable resources; narrowly over one quarter of the way towards the binding EU target of 20% set for 2020. 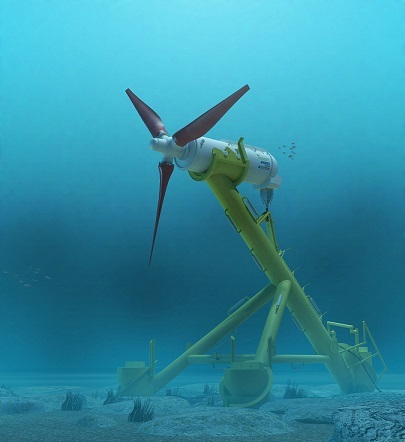 Tidal technology companies are trialling a diverse range of technologies in order to identify the most effective methods of power generation, from tidal turbines through to oscillating devices, flow augmented and crossflow turbines. Whilst there are now many prototype models in operation, mainstream commercial installations are limited in number. The key challenge facing the tidal energy industry is lowering the capital costs of energy generation. 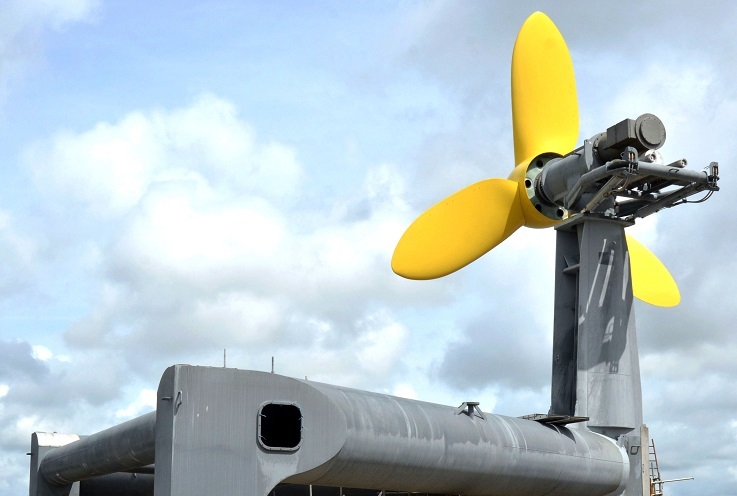 Industry experts claim that a sustained focus on innovation is pivotal to harnessing the potential of tidal energy, as this will guarantee the acceleration of cost reduction is sufficient to reduce the cost of energy down to competitive rates by 2020. The winning solutions for commercial scale tidal projects will have the correct balance of output to installation and capital costs. These generators convert kinetic energy from the ebb and flow of the tide, utilising mechanical energy as the intermediary. Two systems have emerged with huge market potential. 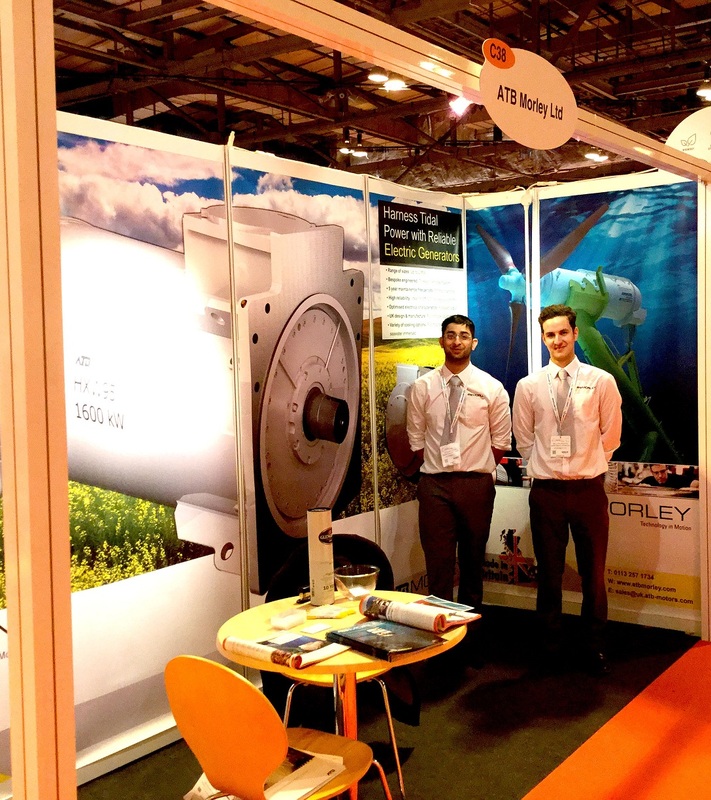 In 2013, ATB Morley supplied a generator for an axial tidal turbine. The generator was installed in an enclosed nacelle behind the turbine’s propellers and mounted on its large supporting structure. The generator was equipped with a range of features, including: oil bath lubricated bearings to ensure a five year maintenance free period, a water cooled outer jacket that pumps fresh seawater through a heat exchanger on the nacelle wall, a comprehensive online monitoring system utilising PT100 RTD’s and vibration sensors. The innovative structure of this turbine ensures that the internal equipment is secure in a dry nitrogen purged pod, avoiding any possible contact with seawater. All internal cabling can be of an industrial standard and consolidated into one subsea cable for transmission to the shore, such is the protection provided by the nacelle. This tidal setup is not without its drawbacks however; the generator is submerged beneath the sea surface, therefore maintenance and installation procedures are time consuming and financially imposing. Mechanical and electrical subsystems incorporated in the generator design can be costly, such as the heat exchanger and pumps to remove the heat from the generator to the sea. ATB Morley was also selected to build a generator for an exposed, gravity mounted, axial turbine structure with components directly in contact with the sea. This required a generator of a robust mechanical design, which would allow it to cope with the harsh climate beneath the water. A special active surface coating was applied to the machine and it was also fitted with double O-ring seals. Additionally, a high slip motor design allowed for constant power fluctuations in turbine speed. This tidal technology benefits from a cheaper installation than that of the previous and is far less intrusive on the sea bed. The requirement for a heat exchanger is also negated as the generator is exposed to sea water. As all the components are continuously in contact with water, issues such as corrosion and unexpected marine growth are common. All seals and cabling must be IP68 and suitable for the water depth, meaning cheaper industrial cabling is simply not an option. Despite this, the system is designed to be a lower cost option than the fixed base nacelle installation. Another obstacle is replicating the underwater environment that this machine would be installed in during factory testing. Whilst marine industry practices can be followed to determine water tightness for example, using helium gas leak testing, mimicking the cooling water immersion in a factory setting remains a complexity, so the exact efficiency of the generator is difficult to determine prior to its installation, which could be seen as a risk for potential investors. Whilst tidal technology is continuously evolving, it is still in a nascent stage, thus a single method of power generation has not yet been acknowledged as the most effective. This is an exciting time for developers, who have the opportunity to revolutionise tidal power through innovation. Why not join us on Facebook, Linkedin and Twitter, where you can keep up to date with our latest news and developments.